During the AGM, HE Sheikh Khalid bin Abdullah, Chairman of the Board of Directors of The Bahrain Red Crescent Society announced the results of the election of the new General Assembly of the Board of Directors which resulted in the recommendation of His Excellency Sheikh Khalid Bin Abdullah Al Khalifa to assume the position of Chairman of the Board. On February 5, 2019, the Bahrain Red Crescent Society held its Ordinary General Assembly for the 15th session of the Diplomat Hotel, where the ladies and gentlemen of the board of directors were also Ali Mohammed Murad, Khalil Mohammed Al Muraikhi, Fawzi Abdullah Amin, Taki Mohammed al-Baharna, Faisal Radhi al-Moussawi, Hassan Ali Jumaa Mohammed Juma, Maryam Ibrahim Hermis Hajri, d. Kawthar Mohammed Eid. 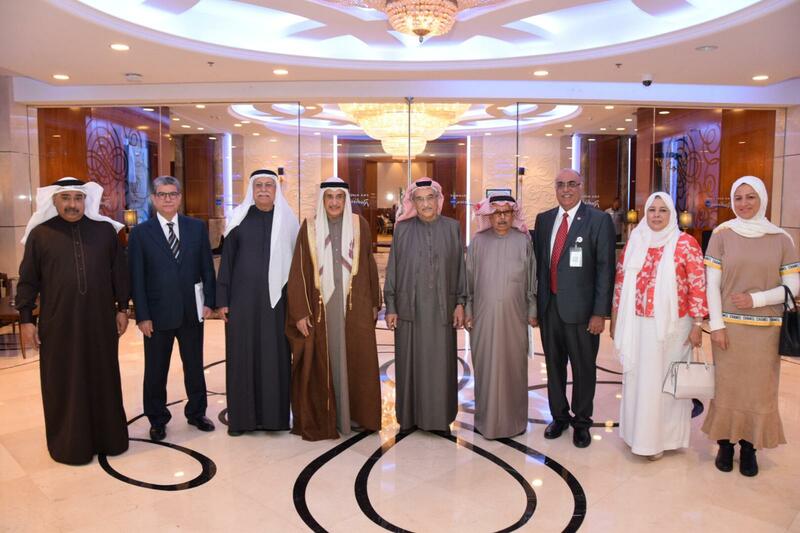 On behalf of the Board of Directors, Mr. Ali Mohammed Murad, on behalf of all the new members and members of the Board, welcomed the participation of His Excellency Sheikh Khalid Bin Abdullah Al Khalifa in the Bahraini Red Crescent Society. Board of Directors of the Assembly by acclamation. Mr. Murad affirmed his confidence that the accession of HE Sheikh Khalid bin Abdullah as the President of the Bahrain Red Crescent would be a real and significant step forward for the important role played by the Society since the early 1970s, since His Highness Sheikh Abdullah bin Khalid Al Khalifa was Chairman of the Board In 1971, he was one of the pillars of the International Red Cross and Red Crescent Movement and its great men, and a prominent contributor to the development of relief and humanitarian work in Bahrain, the region and the world. Mr. Murad also pointed out that the appointment of HE Sheikh Khalid bin Abdullah to assume this position in the association will ensure the effective continuation of the performance of the Bahraini Red Crescent in the field of volunteerism, relief and humanitarian work inside and outside the Kingdom of Bahrain. 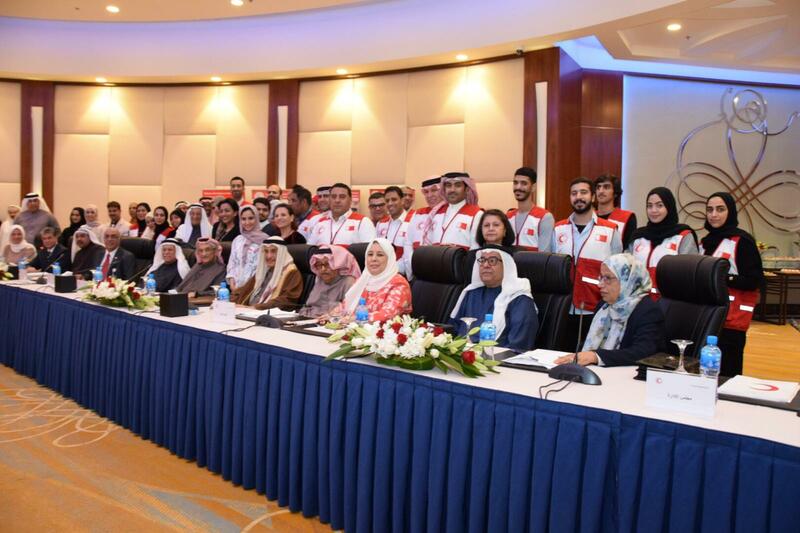 HE Sheikh Khalid bin Abdullah Al Khalifa, Chairman of the Bahrain Red Crescent Society, praised the efforts of the Society to strengthen Bahrain’s position on the relief and humanitarian work map inside and outside the Kingdom. He also praised the efforts of all members and members of the Association To strengthen this position on the map of the world’s developed in the field of relief and humanitarian assistance. 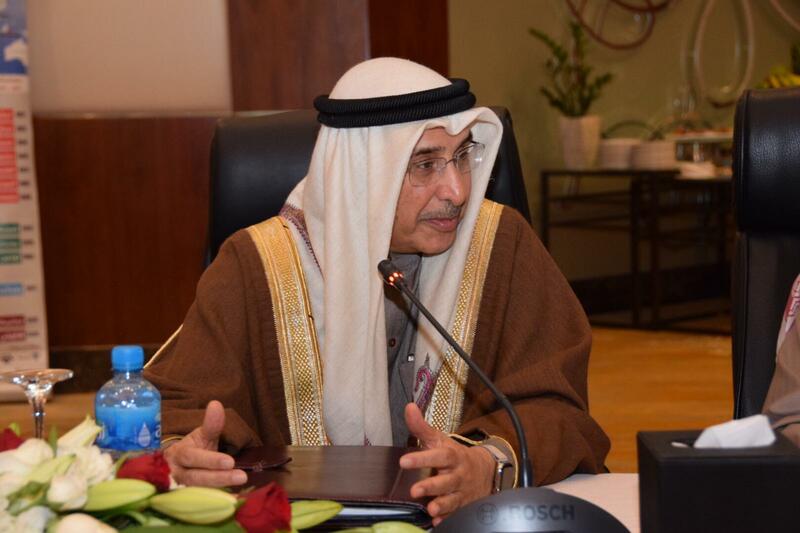 His Excellency stressed the importance of the Society’s efforts to enhance its role within the framework of the International Red Cross and Red Crescent Movement, deepen cooperation and coordination with its national societies in the Arab Gulf countries, and increase the effectiveness of its relief and humanitarian programs. During the general assembly meeting, the financial and literary reports of the association were reviewed in the presence of a representative of the Ministry of Labor and Social Development and a representative of the approved financial auditing company. The Secretary General of the Society, Dr. Fawzi Amin, briefed the Chairman and members of the Board on the reports of the Association’s activities and internal and external work. He also presented detailed aspects of the work of the Association during the last period, as well as an explanation of the current and future directions, activities and programs of the Association. The Bahrain Red Crescent Society is a voluntary humanitarian relief organization founded in 1971 and recognized internationally on 14 September 1972 by the International Committee of the Red Cross (ICRC) in Geneva and joined the International Federation of Red Cross and Red Crescent Societies in the same year. The Society works to achieve a number of objectives, including contributing with the partners of the International Red Cross and Red Crescent Movement to alleviating human suffering, providing social and humanitarian services in accordance with the Red Crescent’s mission, promoting the principles of the International Movement for the Red Crescent and the Red Cross, The principles of the international movement, contribute to the dissemination of international humanitarian law, and provide services and assistance to those in need.